Is your household a little addicted to Disney's Frozen? I know there are many little girls (and even little boys!) out there who can't get enough of Disney's latest princess movie. 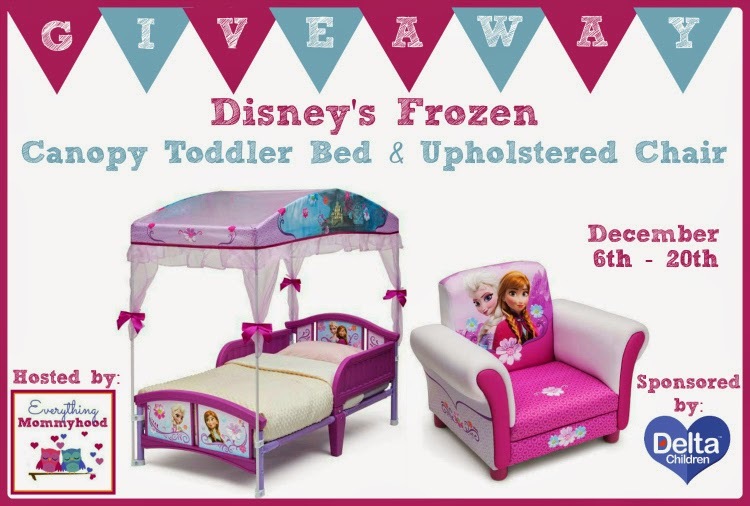 Why not win them an amazing canopy toddler bed and upholstered chair that has Frozen written all over it? Read all the details about these great products from Delta Children and enter to win! Good luck! My daughter is semi-obsessed with Frozen and has been highly resistant to potty training. This would make an amazing jackpot for her to earn when she's done training. The first determining factor in buying a mattress is personal wish. You have to have your personal standards when it comes to support and expediency. With plenty mattresses to opt from, it may be tricky to select the proper one specifically if this is your first time to buy for a mattress.